Puck » Phoebe and Daphne in SailorSun.org?!? So yeah. Phoebe and Daphne spontaneously appeared in SailorSun.org, a comic with a rather meta premise. Let’s just say that these two could appear in the comic and not raise any eyebrows. 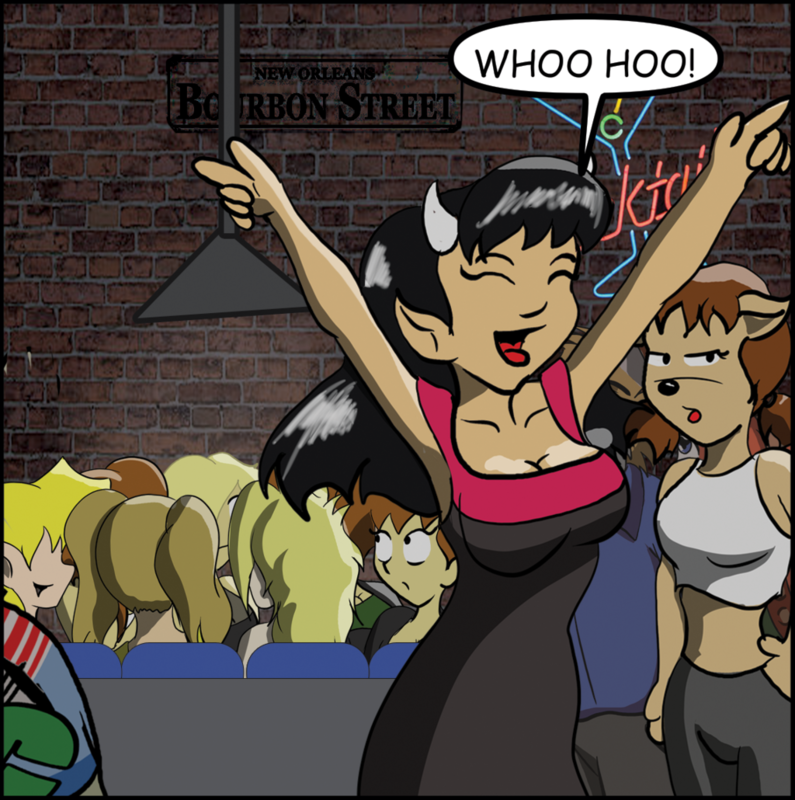 I’d say that this whole thing was seriously breaking character, because Daphne’s underage and Phoebe’s a teetotaler, but the concept (I think) is that the comic depicts a world of actors who play webcomic roles all over the webcomic world. So maybe actor Daphne is actually twenty-six (as many Hollywood teens are) and ‘real world’ Phoebe is a bit of a lush. Who knows? That’s about the gist of SailorSun.org. It’s an awesome webcomic. It’s pretty cool, from what I’ve seen. What Phoebe should really be saying is THIS IS SO FUNK !! Phoebe – OLD SCHOOL !! An epic match. Though I’m not sure what the ‘vs’ implies. I’d assume it’s some kind of cheesy beauty contest or something.